The label is lithographically printed for the exsiccatae of K.Meinshausen "Herbarium Florae Ingricae". The locality and the date are written by hand. 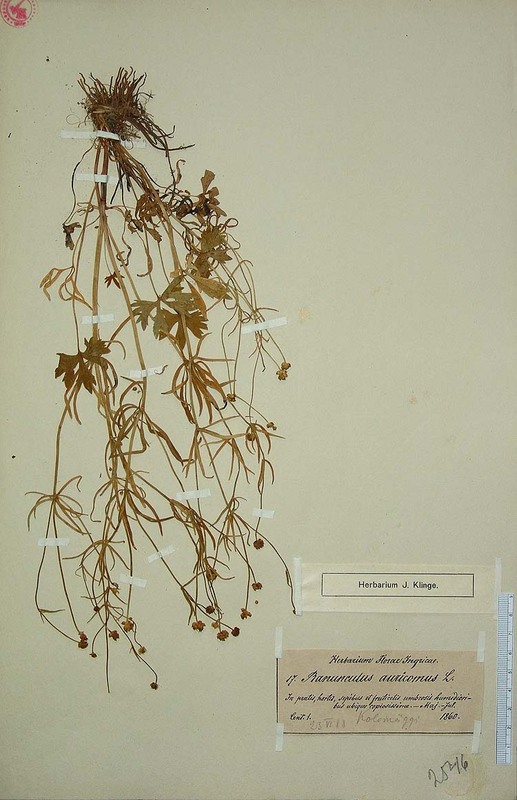 There is a printed slip "Herbarium J.Klinge" glued on the sheet.